I was in shock when I read on Facebook Friday night that one of our sweetest blogging friends left us much, much too soon. 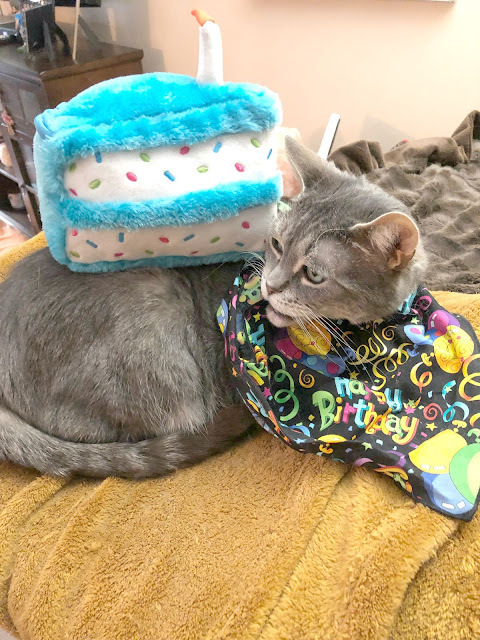 Known to the cat blogging world as "Roby Sweet" or "old SoLT", as SHE liked to call herself which stood for "She of Little Talent", which couldn't be FURTHER FROM THE TRUTH. SHE WAS BEYOND TALENTED! She was the author of Miss C's cozy mysteries and wrote her blog, The CuddlywumpsChronicles. When I saw that Sarah Andrews had passed, at first I had no idea who that was. I only knew her as "Roby Sweet". "Sweet" is purrfect to describe her, to Cody and I and to the entire cat blogging community, she was sweet, funny, kind, oh so intelligent, thoughtful.....and so much more. I am just heartbroken. I barely have the words to convey how sad this is. Last year, after having taken a year or so break from participating in Secret Paws, Cody and I had missed participating so much that we decided to return. Ironically, our Secret Paws was Roby and her kitties. I remember being totally over-the-moon with her generosity to Cody as well as her thoughtfulness, (we are Jewish and Roby made sure to include Chanukah wishes in our card, which was so thoughtful.) I think what I would like to do, and please indulge me, is copy/paste some excerpts from that blog post because her gifts were so carefully and thoughtfully selected for Cody, that we will never forget it. I am just posting certain excerpts from it. Please enjoy. Everything was so nicely wrapped! I didn't know what to go to first but Mom said it was impawtant to read my card first. She said that is the polite thing to do, that one should ALWAYS read the card first. Mom said how in the world would I know who everything was from if I didn't read the card first? (Mom is actually not that bright cause I could have opened everything and THEN read the card, I still would have known who sent everything...but I digress). Mom got all teary-eyed because the card I received was personal and they also included Chanukah on the card which Mom thought was extremely thoughtful. If you look closely you can see who my presents were from, can you see? Wait! I will make sure that you can see!!! Now you can see it for sure!!!! It was from Real Cats Paisley & Webster from The Cuddlywumps Cat Chronicles!!! I was sooo excited and so happy! I love Paisley & Webster !! I want to give a HUGE thank you to Real Cats Paisley and Webster and to their Mom for helping them select these most pawesome prezzies!! Mom and I thank you from the bottom of our hearts!! You made us both so happy! We love you and we hope the prezzies you get from your Secret Paws are as pawtastic as the ones you got me! Roby, (Sarah), we will miss you.........thank you for the many, many kind comments you left on our blog and for your friendship, kindess and the many, many laughs you brought to us. It seems so unfair that you were taken so young. I guess Heaven needed a new Angel..........we sure hope you can see us from Heaven. How fortunate you were to be the recipient of Sarah's Secret Paws gifts! This is a very sad Blogosphere loss. I was shocked and saddened when I heard of Sarah's death. Like most people, I had no idea she was so ill. In her last post she had said she felt very unwell but was hoping she would soon be feeling better. Taken far too young, she will be greatly missed by so many people. 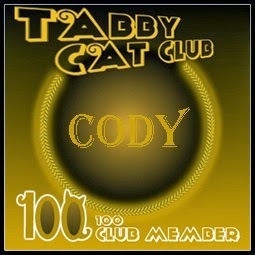 Cody, you are very fortunate to have received those lovely gifts and card from her. It is something to treasure forever in her memory. We didn't know Sarah - in this big world of the internet we simply never met her but she sounds like an extraordinarily kind, thoughtful and talented lady. I know all her friends will miss her. You have lovely memories of her and they will keep your hearts warm. 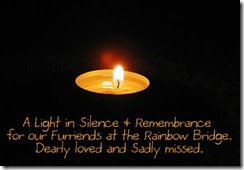 I didn't know her in the blog world either, Caren, but I was saddened to read of her passing, and even more so when I read her obituary and found she was only 49. Far too young. Having just gone through my own health scare, I realize even more how precious each day is, and how unfair the Fates often are. My thoughts and condolences to all who knew her, in person or via blogging. Peace. I didn't know Sarah but she sounds like an amazing person. I'm so sorry to hear she has passed. She certainly touched many lives and brightened so many hearts-your and Cody's included. Sending hugs. Lovely tribute. I didn't think Daisy Mae and I knew her either but now that you mention she went by "Roby Sweet" most of the time. I remember the blog she ran. Sorry she passed.I signed the guest book. What a beautiful and heartfelt tribute. Sarah was so special, and she will be missed by so many friends around the world. Thank you for writing this nice post about Sarah. I am so, so sad about her loss. I had been very worried about her when her blog had gone silent, but had no idea that it was so bad. We had come to know each other through our blogs, and when I headed to BlogPaws SC I was happy to find out she would be there so we could meet! I found her at lunch one day, and funny thing, I wasn't sure it was her at first, because I also only knew her as Roby Sweet! It was a pleasure to meet her and her Mom and I enjoyed visiting with her. 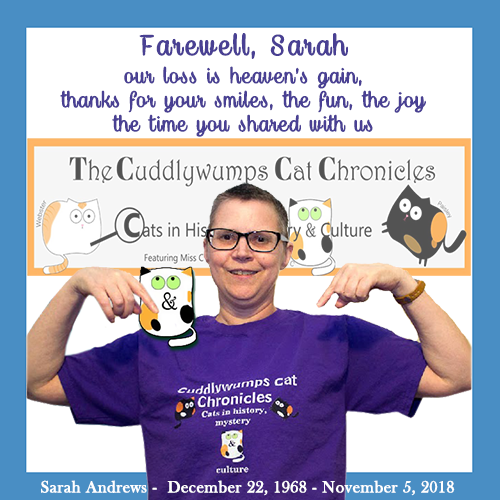 We are going to miss her blog and her sweet furry family. Thank you for this lovely tribute . 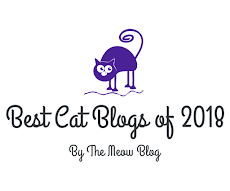 I read many blogs and hers was one I enjoyed - so much that I feel so sorry, not only for her human family, but for Webster, Paisley, and Laila. we are deeply, deeply saddened. Our hearts break for her babies but I am hopeful that her family is taking care of them and I am sure they are giving them tons of love. It was such a shock to see the obituary, devastating, and I have cried a lot since trying to make sense of it all. That was a lovely tribute for a truly great and gifted writer, editor and educator, and also friend to all who came her way. Such wonderful gifts and chosen with the same care fun and thoughtfulness that she showed in all she did. A lady I would so dearly have loved to meet in person, but never had the chance. I hope someday, when my time comes, we will get to meet her and say how much she helped and inspired me. The passing os Sara is such heartbreaking news. You're so lucky to have such special gifts and cards from the Cuddlywumps gang. We're going to miss them all very much. We are so sad to hear about Miss Sarah. You and Cody have such special memories of her. 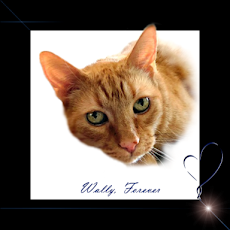 We send comforting purrs to her family and friends. What a beautiful tribute. She had been mentioning in her last 3-4 posts that she was in a lot of pain and now we know why. 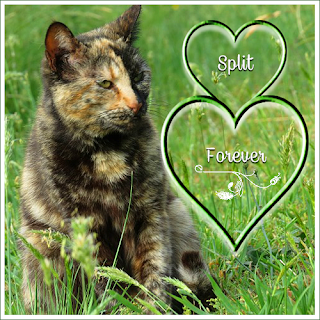 We will miss her and her cats who I hope are being cared for very much. Just what we need, one less blog visitor and comment we say in jest to keep from crying. This is a beautiful tribute to her, we still can't believe she is gone. She will be missed by all of us here. What a wonderful tribute to Roby. I didn't know her, but it's clear how much she was/is loved in the blogging community and beyond. Oh my goodness, I didn't know this.